When hundreds of people gather at Lake Phalen Saturday, October 14 for The Great Candy Run, presented by Midwest Fetal Care Center, the Kothe family of six will be among them. This is the first year that the family-friendly event takes place in Minnesota and the Kothes, who recently relocated to Minneapolis from Denver, are looking forward to participating once again in the Fetal Health Foundation (FHF) fundraiser that has special meaning for their family. Lisa and Brian Kothe’s path to parenthood was far from smooth. Married almost five years when they decided to start a family, they had no idea that many months would pass before their arms would hold their babies. In between there would be a miscarriage, multiple insemination procedures and, eventually, in-vitro fertilization. Finally, two weeks after the transfer of four embryos, the couple learned they were pregnant. Based on blood levels, the parents were told they were probably expecting one or two babies. However, an ultrasound at six and a half weeks showed one sac with one baby and a second sac with identical triplets. Told that three babies in one amniotic sac can be very dangerous, the couple was referred to a high-risk specialist. Although the doctor strongly suggested that the couple reduce the three babies since the risks were so great, the couple decided to leave their fate in God’s hands. During an ultrasound at 19-1/2 weeks, the three sac-sharing babies started showing signs of twin-to-twin transfusion syndrome (TTTS), which is seen more in identical twins, but can also endanger identical triplets. In TTTS, the shared placenta contains connecting blood vessels that are shared between the babies. In some cases, one baby can receive too much blood and nutrients, while the others receive little to none. Without proper treatment and management, mortality rate is near 100% for all the babies. In the Kothes’ case, Baby A was getting too much blood, while B and C were not getting enough. Both situations are dangerous to the babies development and health. A week later, Baby A, whom they named Angela, passed away. After undergoing medical procedures to delay delivery until the other three babies would have their best chance of surviving, the Kothe triplets were born at 26 weeks on August 23, 2002, with Julia Lynn weighing 1lb. 2 oz., Isabel Marie at 1 lb. 6 oz., and Carlie Jo at 1 lb. 3oz. The triplets spent 62 days in the NICU and eventually came home the week before Christmas 2002, accompanied by oxygen, medications and a feeding tube for Julia. According to their mother, the girls – who recently celebrated their 15th birthday – have been healthy and did not experience a lot of the problems that might have been expected. “They just started high school, so that’s a new adventure for our family,” she admitted. Before moving to Minneapolis a year and a half ago, the Kothes lived in Denver, where they participated in that city’s annual The Great Candy Run. Lisa said they learned about the Fetal Health Foundation, which is the beneficiary of The Great Candy Run, when the nonprofit’s founder, Lonnie Somers, came to a meeting of the multiples club to which they belonged. 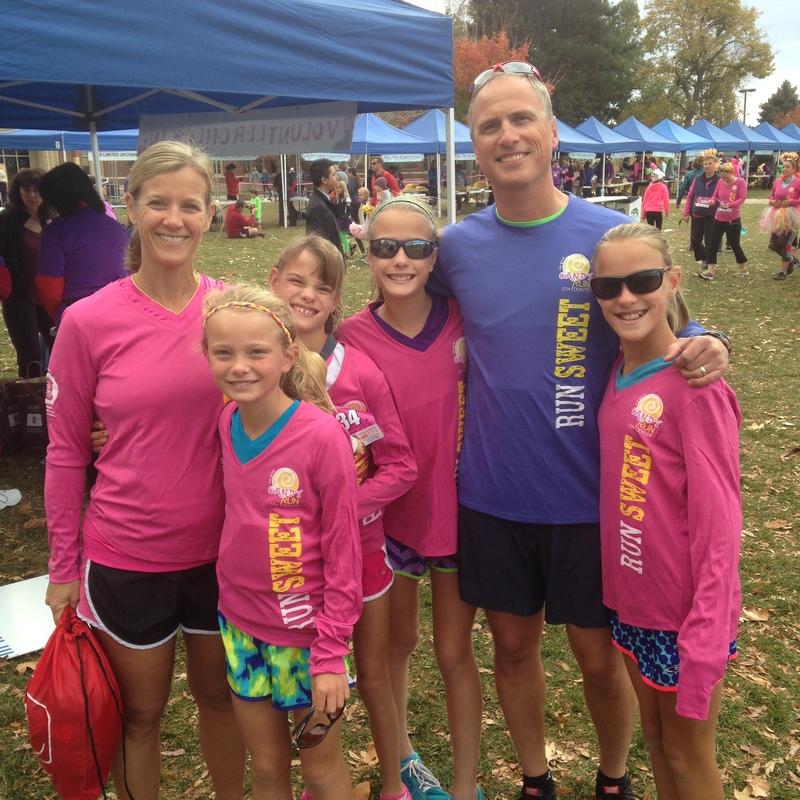 Somers is the father of twin girls who battled TTTS. Founded in 2006, FHF is a leader, nationally and internationally, in supporting families and medical treatment centers dealing with intrauterine fetal syndromes. The 501c3 nonprofit organization connects families diagnosed with a fetal disorder to top-rated medical specialists and funds research to improve outcomes in fetal conditions. On October 14, Lisa, Brian, Julia, Isabel, Carlie and 13-year-old Amanda will be running and volunteering at the Minneapolis The Great Candy Run at Lake Phalen. According to their mother, the girls are looking forward to the event.